Last week, we talked hibachi and why it's complicated. This week, Dan takes your questions and discusses them, along with friends-of-the-show and cookbook authors Kenji López-Alt and Nicole Taylor. We cover communal eating, orientalism, finding "authentic" foods, and more. Nicole also dishes on her upcoming cookbook, The Last O.G. Cookbook, and Kenji updates us on his restaurant, Wursthall, in San Mateo, CA. 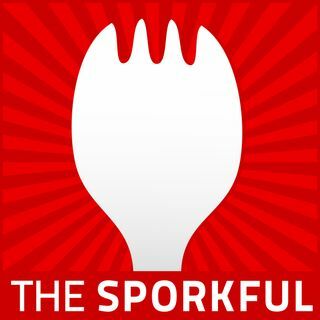 Today's sponsors: ... See More Go to Bona.com/SPORKFUL to receive exclusive offers and learn more. Go to LinkedIn.com/SPORKFUL to get fifty dollars off your first job post. Go to rothys.com and enter promo code SPORKFUL to receive free Shipping plus free returns and exchanges on your Rothy’s shoe. This week we're making a Green Goddess English Muffin Sandwich on Thomas' English Muffin. Get the recipe here: https://thomasbreads.com/recipes/green-goddess-english-muffin-sandwich.